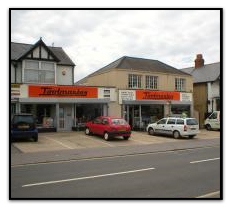 Providing the best possible service at competitive prices Established over 40 years ago to provide general tools and ironmongery to a mainly agricultural customer base, at Toolmaster in Oxford, we have changed our product profile over the years to meet increased customer demand, whilst remaining up-to-date with the latest technology. We now supply a large selection of power tools, hand tools, fixings and fasteners, welding supplies, machinery and general maintenance items, both in-store and online. In addition to this, we export goods to many countries across the world. Having expanded our premises, recruited more staff and installed a new computer system to improve stock control and order strike rates, we are able to provide an even better level of service to our customers. Our policy is to provide the best possible service at competitive prices and we are confident that our knowledgeable, experienced and dedicated staff will provide you with exactly that. Our suppliers and manufacturers are encouraged to work closely with us, providing up to date products and information we can pass on to our customers. We know that customers demand the very latest technology and equipment, so by working with the manufacturers we aim to provide this.